Discover our full range of crystal filter products here and use our product search to find the exact crystal filter you need. 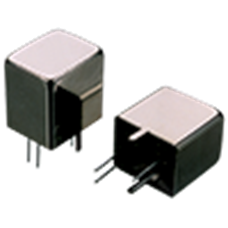 Our highlighted key crystal filter products are chosen for their combination of highly competitive commercial pricing and large range of developed frequencies and specifications. For more information on our key product range you can contact our expert advisers here. Featuring insertion loss of just 2.5dB, the GMCF-10 10G12B 4 pole crystal filter from Golledge with centre frequency of 10.7MHz. Featuring a 12kHz 3dB bandwidth, the GMCF-10 10G12B is available in industry standard HC49 style package. You can find full specifications here. The GMCF-10 10G12D 8 pole crystal filter from Golledge with centre frequency of 10.7MHz features a 12kHz 6dB bandwidth. Discover full specifications, including insertion loss and package size here. 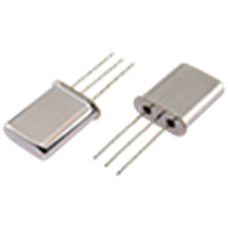 The GMCF-10 10G15C 6 pole crystal filter from Golledge with centre frequency of 10.7MHz features a 15kHz 3dB bandwidth. Discover full specifications, including insertion loss and package size here. The GMCF-10 10G15D 8 pole crystal filter from Golledge with centre frequency of 10.7MHz features a 15kHz 6dB bandwidth. Discover full specifications, including insertion loss and package size here. Featuring insertion loss of just 2.5dB, the GMCF-10 10G20B 4 pole crystal filter from Golledge with centre frequency of 10.7MHz. Featuring a 20kHz 3dB bandwidth, the GMCF-10 10G20B is available in industry standard HC49 style package. You can find full specifications here. The GMCF-10 10G20C 6 pole crystal filter from Golledge with centre frequency of 10.7MHz features a 20kHz 3dB bandwidth. Discover full specifications, including insertion loss and package size here. The GMCF-10 10G20D 8 pole crystal filter from Golledge with centre frequency of 10.7MHz features a 20kHz 6dB bandwidth. Discover full specifications, including insertion loss and package size here. Featuring insertion loss of just 1.5dB, the GMCF-10 10G30A 2 pole crystal filter from Golledge with centre frequency of 10.7MHz. 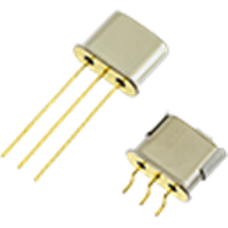 Featuring a 30kHz 3dB bandwidth, the GMCF-10 10G30A is available in industry standard HC49 style package. You can find full specifications here. The GMCF-10 10G30D 8 pole crystal filter from Golledge with centre frequency of 10.7MHz features a 30kHz 6dB bandwidth. Discover full specifications, including insertion loss and package size here. 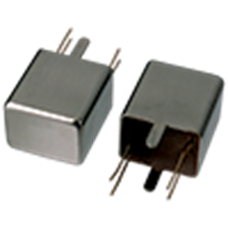 The GMCF-21 21G12A 2 pole crystal filter from Golledge with centre frequency of 21.4MHz features a 12kHz 3dB bandwidth and is available in multiple packages, including both UM-1 and UM-5 style leaded packages and UM-1J and UM-5J surface mount packages. This filter also features insertion loss of just 1.5dB dB. Find full specifications here. 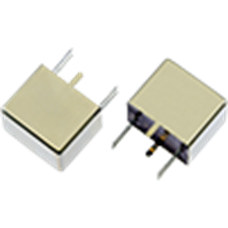 The GMCF-21 21G12B 4 pole crystal filter from Golledge with centre frequency of 21.4MHz features a 12kHz 3dB bandwidth and is available in multiple packages, including both UM-1 and UM-5 style leaded packages and UM-1J and UM-5J surface mount packages. This filter also features insertion loss of just 2.5dB dB. Find full specifications here. The GMCF-21 21G12C 6 pole crystal filter from Golledge with centre frequency of 21.4MHz features a 12kHz 3dB bandwidth. Discover full specifications, including insertion loss and package size here. The GMCF-21 21G12D 8 pole crystal filter from Golledge with centre frequency of 21.4MHz features a 12kHz 3dB bandwidth. Discover full specifications, including insertion loss and package size here.